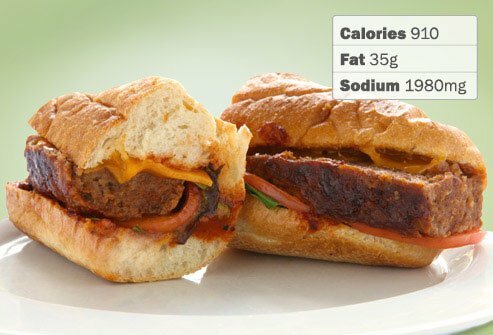 The Homestyle Meatloaf Carver Sandwich sounds wholesome, but "hearty" or just plain "fattening" might be better descriptions. 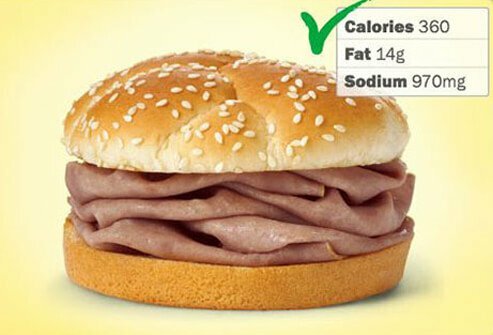 It has 960 calories, 49 g fat, and 23 g of saturated fat -- the daily limit of this unhealthy fat for most people. 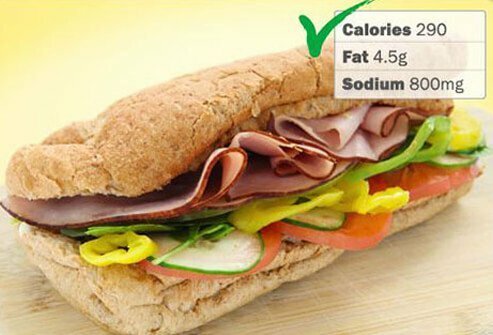 With 1,990 mg of sodium, it nearly tops the daily limit for healthy adults (2,300 mg). 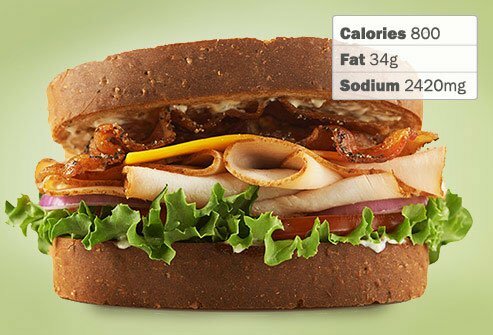 The 6-inch Chicken and Bacon Ranch Melt iis a fatty choice at a restaurant better known for its healthy options. 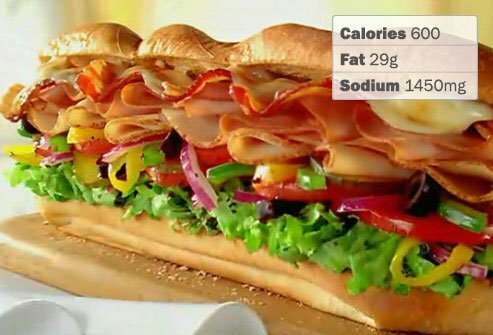 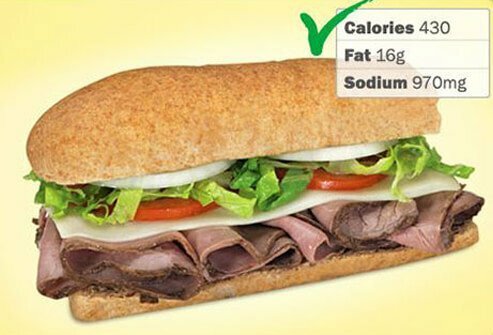 This 6-inch sub weighs in at 590 calories, 30 g fat, 10 g saturated fat, and 1,360 mg sodium. 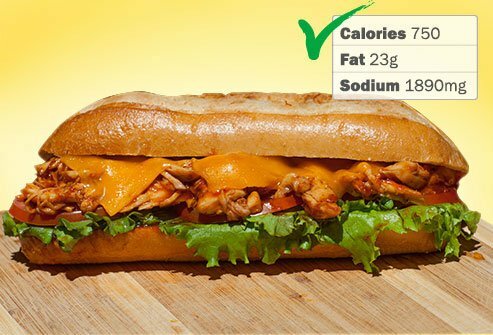 The Asiago Ranch Club With Homestyle Chicken can turn a quick lunch into a fatty affair that lingers on your hips. 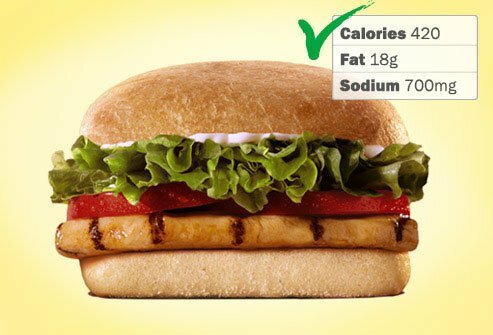 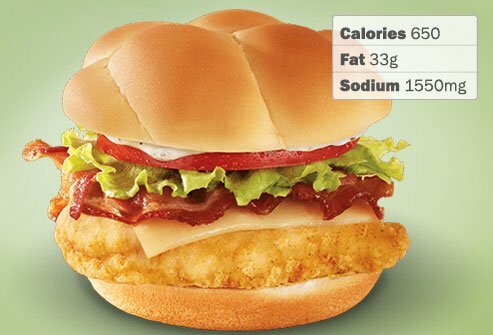 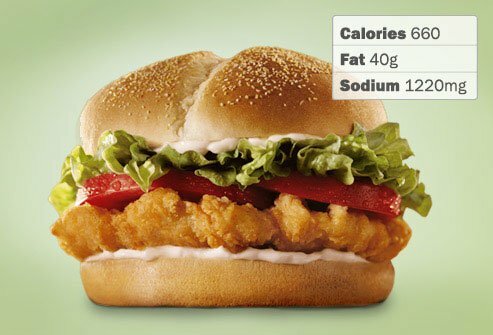 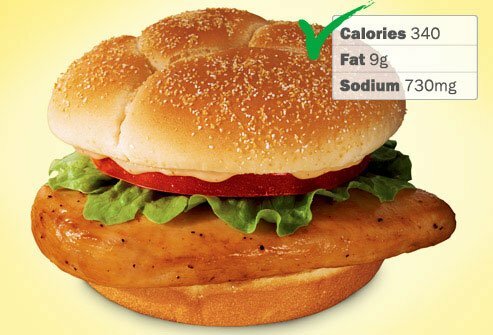 Wendy’s tops their breaded, fried filet with 3 strips of bacon, cheese, lettuce, tomato, and mayo for 690 calories, 36 g fat, 12 g saturated fat, and 1,630 mg of sodium. 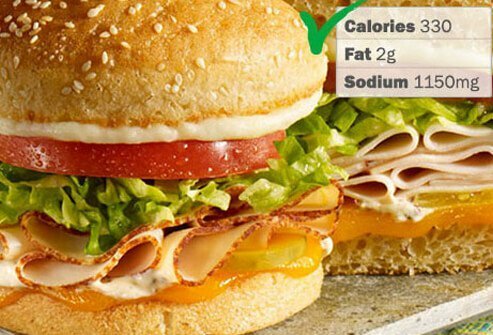 Before you order, glance at the calorie listing to be sure your choice is a "best bet." 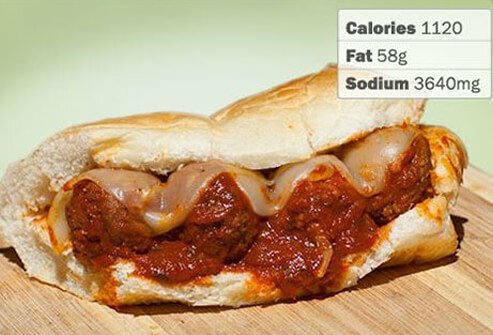 And watch menu items that come with a side dish. 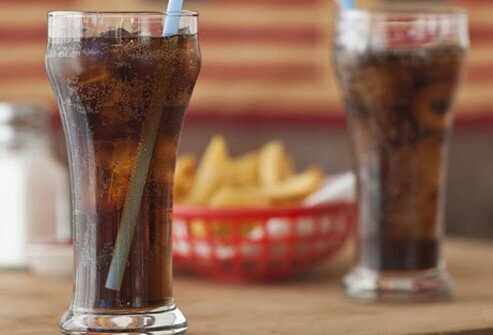 Sidekicks that send the calories soaring include giant drinks, fries, chips, and salads loaded with dressing. 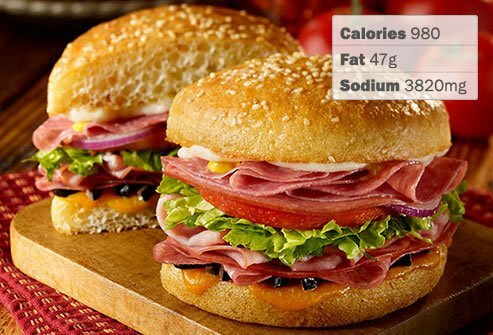 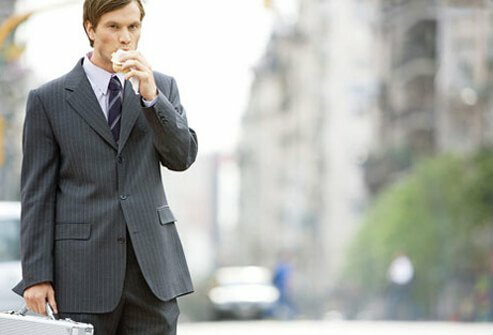 Better bets are non-calorie drinks, fat-free milk, water, and sides with fruits and veggies.